If you are thinking to choose a material for your product packaging, especially cosmetic product, PP should be a preferred choice. We will explain why PP is becoming more and more popular for product packaging. The history and trend of PP packaging, advantage & disadvantage of PP packaging, main features of clear PP box. Polypropylene (PP) is a thermoplastic polymer made from combining polypropylene monomers. It was first polymerized by the pair of scientists-Paul Hogan and Robert Banks- in 1951. 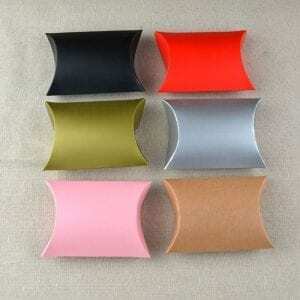 It is a popular plastic polymer and has a variety of uses. The global demand for PP is expected to be around 62 million tons by the year 2020. It is one of the most popular and widely used plastic polymers in the world. The major uses of PP are in the packaging industry which consumes 30% of the total PP production. It is also used for manufacturing of electrical equipment, household appliances, automotive parts, and construction materials. PP box packaging has been gaining popularity. It is used in packaging for a variety of industries and products like food items, cosmetics, personal care products etc. There is a growing trend of moving towards lightweight packaging while also ensuring the safety and originality of the products. As PP is the lightest plastic polymer, it is the ideal material for lightweight product packaging. There is also a growing concern about using eco-friendly and sustainable packaging materials. The PP packaging boxes meet these criteria also and are an ideal eco-friendly packaging material. PP can be easily recycled and is one of the most widely recycled plastic polymers globally. In today’s highly competitive market the packaging trend is to adopt a more utility based packaging which provides a user-friendly experience while using the packaged product. PP packaging boxes are in trend as they provide considerable use to the consumers in using the final product. They can see the packaged product through the packaging. The per capita usage of plastic polymers (PE, PP, and PVC) is the highest in the United States. As per 2014 data, per capita consumption in the US is 68 Kg, followed by Europe with 50 Kg. Japan has per capita consumption of 46 Kg while China and Mexico have consumption of 38 Kg and 30 Kg respectively. PP packaging boxes are used for packaging of food items. Food items like fruits, vegetables, convenience food etc. make use of the PP packaging boxes. These boxes are strong and durable and provide good protection to the food items. They keep the food items fresher for longer and also help in avoiding food waste. PP packaging boxes have a versatile temperature range and these boxes can be used in the microwave, ovens, and refrigerator without any damage either to the packaging or the product. The chemical stability of PP also ensures that the packaging boxes do not react with any food items and the food retains their original characteristics. The cosmetics and personal care products make use of the PP box packaging. The packaging is lightweight and helps to keep the packaging minimalistic, which is the current trend in cosmetic packaging globally. It allows the customers to see through the packaging and the packaging also makes the final use of the product convenient for them. PP packaging boxes are chemical resistant and thus they do not react with the alcohol or other chemicals present in the cosmetics. This helps them to retain their originality and eliminates the chances of spoilage of the cosmetic items due to any chemical reaction. PP is a popular packaging material for clothing. The PP packaging boxes are designed in a manner that they provide excellent protection to the packaged clothes. They protect the clothes from moisture, humidity, and other external environmental factors. The packaging also provides good protection to the packaged products during transit and reduces any transit damage losses. The PP packaging boxes can be designed and customized to display the complete product description and graphics in full colors. Different sizes of the PP packaging boxes are available for packaging different clothing. Overall, the PP is an excellent packaging material for clothing and popularly used in the apparel industry. PP has the distinct advantage of being the lightest of all the polymers. Due to its lightweight, PP is a very useful packaging material. The PP packaging boxes have the advantage of being lightweight. This results in achieving economies of scale in transporting the products. This is accomplished as more quantity of products can be transported using the same fuel and energy consumption. The savings in the fuel and energy consumption for the transportation of the products also contribute positively towards the environment conservation. The lightweight nature of the packaging also makes the storing of the products and their unloading easier. PP is a tough and durable material which is important for any packaging material. It has a high fatigue resistance which means that it will retain its shape even when subjected to a lot of torsions, bending, and flexing. PP also has a high impact strength and does better in drop tests compared to other plastic polymers. The PP box packaging is tough and durable. It protects the packaged product from abrasions and shocks and keeps it safe. The durability of the PP box packaging ensures the safety and protection of the products during transit and reduces the transit damage losses. It also ensures that the customers get the product intact. The chemical resistance property of PP also makes it a suitable material for packaging. Due to this, the chemicals in the packaged products do not react with the PP box packaging. This helps in retaining the original composition of the packaged products without diluting or spoiling them. Considering the chemical resistance property of PP, it is a good choice for the packaging material for products like detergents, cosmetics, first-aid products etc. 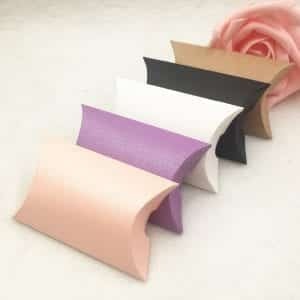 They are also suitable for packaging of cosmetics, personal care products etc. which contain alcohol-based and other chemicals as the PP packaging will not react with those chemicals and the products will retain their original characteristics. PP has a very versatile temperature range. They can be subjected to high temperatures without having any issues of chemical leaching, odor, and taste. This makes them suitable for packaging materials as they are not impacted by heat. In addition to this, the PP packages can be put in the microwave, oven, refrigerator etc. in a wide temperature range without compromising on the quality of the packaging or the packaged product. The versatile temperature range of PP makes it a good packaging material. The PP box packaging can protect the product from a wide range of temperature fluctuations and prevents product damage due to temperature variations. PP is an eco-friendly plastic polymer. It takes fewer natural resources for its production. PP is widely recycled. It is one of the most recycled plastic polymers after PET. The PP packaging boxes can be easily recycled and used multiple times. This reduces the carbon footprint of the PP packaging box and contributes towards a healthy and safe environment. It is also biodegradable and can decompose when it comes in contact with carbon and hydrogen. Production of PP generates fewer waste products in production and disposal. When burned, the PP packaging boxes do not generate toxic gases like chlorine from burning of PVC. PP is a highly flammable material. It will melt when exposed to heat and has a flash point of 260 degree Celsius. This means that as soon as the PP is exposed to a temperature of 260 degree Celsius and above, the vapors of the material will ignite when they are given an ignition source. This can be a problem when using it for packaging products. The PP packaging box if subjected to high temperatures can melt and this can lead to damage and spoilage of the packed products. The use of PP as a packaging material is not a good choice where high temperatures are expected. PP is vulnerable to UV degradation. It is affected by UV degradation and hence the PP box packaging is not suitable for places which have high UV penetration and radiation. According to a study, the PP fibers can withstand about 6 days of high-intensity exposure to the UV radiation before losing 70% of their strength. PP is susceptible to UV radiation and exposure and will degrade quickly in such an environment. If the products are to be delivered to geographies with high UV penetration and high-altitude areas, then PP packaging boxes are not a good alternative as they will be affected by the UV light exposure and degrade. High thermal expansion of PP is a drawback when using it as a packaging material. It has a high thermal expansion coefficient which leads to its linear instability. When subjected to high temperatures, the PP will expand. This renders the PP with very less utility in a high-temperature environment. The PP packaging boxes will be unstable when they are exposed to high temperatures. They can expand and also deform thereby causing potential damage and spoilage to the packaged products. Hence, the PP packaging boxes should not be used from a safety point of view when it has to be subjected to high temperatures. PP is vulnerable to high temperatures and loses most of its utility. When it is exposed to temperatures above 100 degree Celsius, PP suffers from chain degradation which further leads to oxidation. Due to the oxidation, the molecular weight of the PP is lowered which makes it vulnerable and weak. When oxidation starts in PP, it leads to cracks and crazing of the affected areas. This property of PP is undesirable when using it as a packaging material. It can lead to a disintegration of the packaging material quickly thereby compromising the packaged content and its safety. Hence, PP box packaging should not be used where high temperatures are involved. PP has poor bonding properties. This makes it a difficult polymer to print or paint onto. This is due to the low surface energy or the poor wettability of about 29nN/m. normally, to achieve good wetting or adhesion a minimum surface energy of 36nN/m is required. This limits the use of PP packaging boxes as it is difficult to print or paint the relevant information on them effectively. To overcome this problem, the surface of PP packaging boxes is treated with various chemicals and processes which can enhance the adhesive strength of the paints and inks which are used to color the PP packaging surface. Historically, the Japanese have taken great care in personal hygiene and their cosmetic products. Cosmetic products have a very good market in Japan. The Japanese are very particular and sensitive about the packaging of the cosmetic products. Japan has strict laws for environmental-friendly packaging. The cosmetic packaging is reducing on weight and the product weight to the package weight ratio is decreasing which is a part of the packaging environmental drivers. PP being the lightest of all plastic polymers is ideal to be used in cosmetic packaging in Japan. The Japanese population is aging and the majority of the cosmetic products are aimed towards an elderly population. The packaging for this elderly target group has to be convenient and user-friendly. PP packaging boxes offer user-friendly packaging for cosmetics. It allows the users to easily open and access the products and see through the contents of the products through the packaging. Japan is also very particular about recycling and it has a high recycling rate. The PP box packaging is ideal as it allows for easy recycling and can be reused after recycling. Japanese cosmetic packaging is about minimalistic design and offering more value to the end user. Considering the above, PP box packaging is very popular for cosmetic products in Japan. The designing of a PP packaging box is important. The packaging box should be visually appealing and should look attractive. It should also be lightweight and convenient to open. A well-designed PP packaging box which is cumbersome to open can be a put off for many customers. In case of food items where the product can be consumed over time, the packaging should provide the option of resealing the product. This will ensure that the product can be kept fresher in the package until it is completely consumed. The packaging box should also provide complete information on the product. A good packaging attracts the customers and influences them to purchase the product. Metalized Pouches Vs Foil Pouches: Which One Is Better? This entry was posted in Plastic Packaging and tagged clear plastic box, clear PP box, packaging box, plastic box, PP box, PP packaging box.